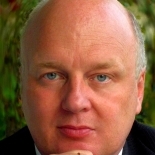 Dr. Peter Schuett is Leader Enterprise Collaboration Strategy & Knowledge Management in IBM Germany GmbH. In this role he consults industry leaders in Germany, Switzerland and Austria on Enterprise Collaboration, Social Business/Enterprise 2.0 strategies and adoption methodologies, and topics such as New Ways to Work, the IT based Workplace of the Future, Innovation and Knowledge Management. His articles and interviews in German business and IT press draw a lot of attention. His his new book “Der Weg zum Digitalen Unternehmen” (The Roadmap to become a Digital Enterprise) will be published in German by Springer/Gabler in October/November 2015. He acquired a PhD from the University of Hamburg in Physics and, during his studies, was a visitor at CERN in Geneva, CH, for 2 years. Peter is living in Stuttgart, Germany, is married and has two children.